When I started my cycling journey, I chose hybrid bikes. Why? Not only because of their beauty but also their safety and value. 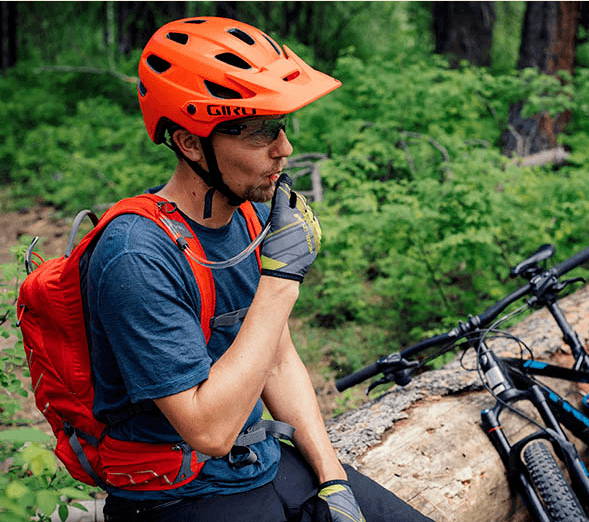 Investing in a hybrid bike allows you to enjoy the power of a road bike and a mountain bike in one. I love the Vilano Diverse 3.0 Performance Hybrid Road Bike because it helps me cover different terrains with minimal effort. 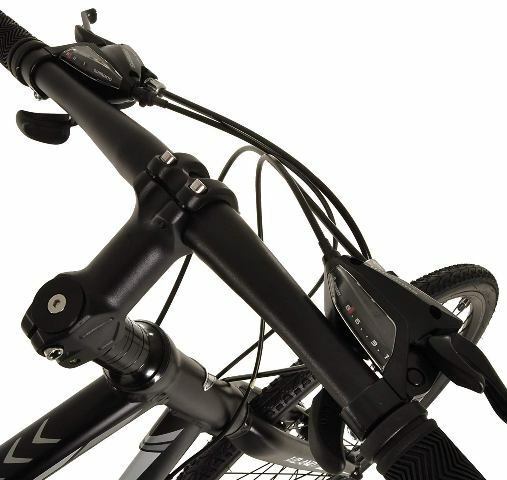 The bike also has upgraded features to enhance your cycling adventure. Vilano Diverse 3.0 is perfect for commuting, group rides and general weekend riding. 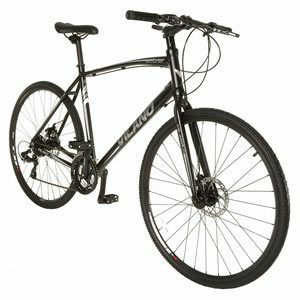 Considering its affordable price, this hybrid bike is suitable for beginners who don't want to spend more on a bike. This review covers the crucial aspects of this bike to help you make a more informed decision. Read on to find why the bike beats many hybrid bikes on the market today. If you are a commuter looking for a cost-effective bike that can handle any road condition, think of Vilano Diverse 3.0 hybrid bike. This bike is designed with an aluminum frame that is lightweight and durable. Apart from its strong construction, the frame of the bike is butted meaning that it will offer reinforced strength. The manufacturer offers two frame sizes measuring 53 cm and 57 cm. the two frame sizes are designed to fit most riders from 5 ft 5 inches to 6 ft 4 inches. This bike accommodates tall riders perfectly well and they can enjoy all the benefits of this road bike. The best thing I love about this hybrid bike is that you can hardly feel when shifting from one gear to another. This is because it is equipped with quality Shimano components that provide smooth gear transition when riding on a wide range of terrains. The bike brags of Shimano EF 51 3/8 Speed shifter works well in controlling the 24 gears. You can ride effectively on flats, incline and decline because you are in full control of the bike. No one wants a bike that is uncomfortable especially if you are riding for a long distance. To ensure you achieve a comfortable riding posture, the bike has upright flat handlebars. 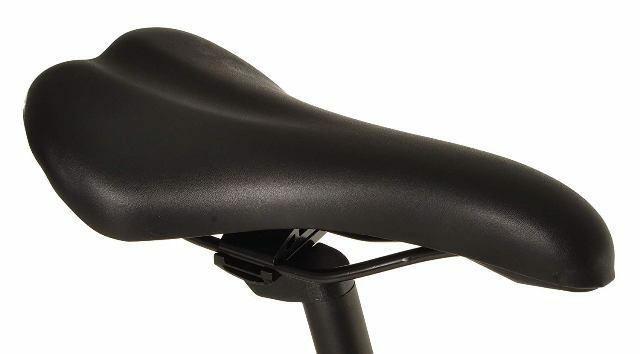 Additionally, it is fitted with a comfortable seat that ensures you achieve an upright riding posture. This means that you don't have to lean forward when you are riding which can be tiresome. This stylish back is also equipped with a water bottle mount to ensure that you stay hydrated throughout your ride. Having a bike with unreliable brakes can compromise your safety on the road. When you need to overcome objects and other objects along your way, you need a bike that offers a reliable stopping power to prevent accidents. This is exactly what you get from this hybrid bike. Unlike other cheap bikes, Diverse 3.0 features Shimano disc brakes that offer a superb stopping power. 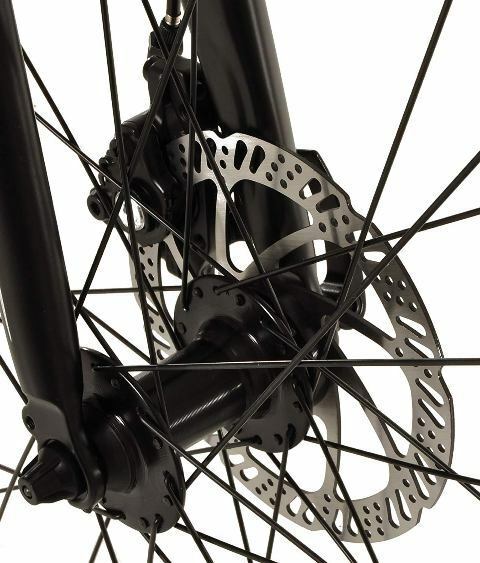 The disc brakes work well in a wet or dry condition which gives you control. The brakes offer stability and give you more control on the road. You can ride confidently knowing that the brakes work well in case emergency stops. Diverse 3.0 bike doesn't limit you to a specific terrain. The bike provides an incredible performance regardless of the weather or terrain. The structure and design of the bike make it handle any weather condition without compromising your safety. You can also use the bike on any terrain because it combines the aspects of a road bike and a mountain bike. Vilano Diverse hybrid bike is one of the most budget-friendly hybrid bikes you will find on the market today. This is a low-cost bike that is designed for commuters and casual riders. This bike will impress you because it performs pretty well as compared to other mid-range bikes. Considering the fact that it is a hybrid bike, you will be surprised by its price tag. 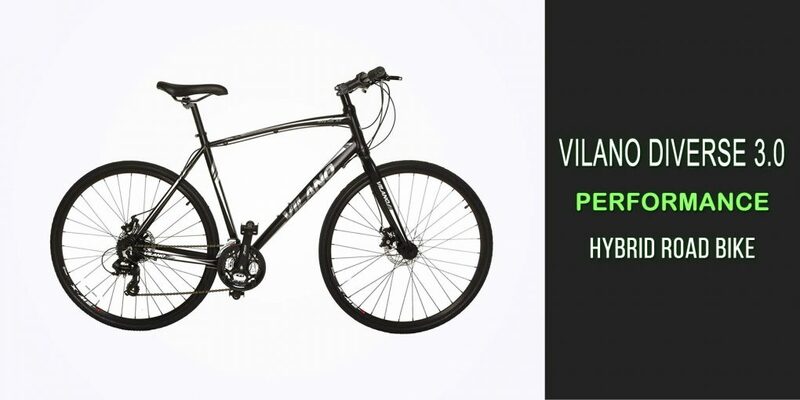 Vilano provides a quality and functional hybrid bike at a relatively cheaper price. The last thing that a rider wants is a bike that is tough to assemble. Even if you have never assembled a bike before, you will not have trouble assembling this model. It comes with assembly information that makes your work easier so you do not require the help of a professional. If you follow the given instructions and make some minor adjustments, then you can get the bike working in less time. Q: Does Diverse 3.0 come with a kickstand? A: This is my best hybrid bike but it doesn't come with a kickstand. Q: Does the frame of the bike have pre-drilled holes to accommodate a rear mount frame rack? A: I bought this bike a couple of months ago and it has pre-drilled holes on the frame. Q: I was wondering if it is possible to attach a child seat on the frame of the bike? A: If you want to attach it to the rear wheel axle and seat post, then it should work well. Q: How do you find the pedals of this hybrid bike? A: The pedals feel good and they are sturdy. You do not need bike shoes because your foot feels very secure on the pedal. Vilano Diverse 3.0 is a quality hybrid bike that is perfect for professional and beginner riders. 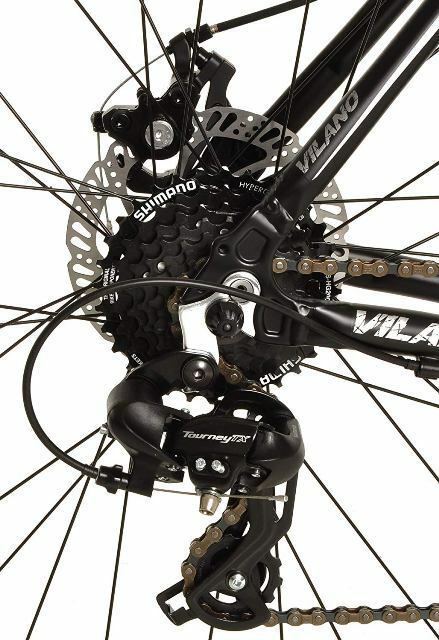 Vilano is a reputable brand that provides functional bikes and this model is one of their best hybrid bikes. The bike not only looks good but it also provides very enjoyable rides. If you need a wallet-friendly hybrid bike, consider this one and you will not be disappointed. In as much as it has its flaws, its feature and benefits outweigh the bad.